“I HATE MY JOB!” How many times have you heard someone say that? Maybe those words have left your lips. Depressingly, at some point in our lives, most of us feel worthless because of our employment. But it doesn’t have to be that way. 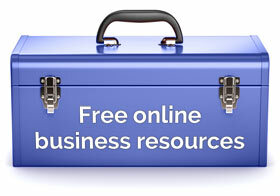 We are fortunate to be living at a time where setting up your own business has never been easier or more accessible. There are many reasons excuses for staying in employment. But that’s all they are – excuses. If you want to quit your job and start working for yourself, then you can do it. 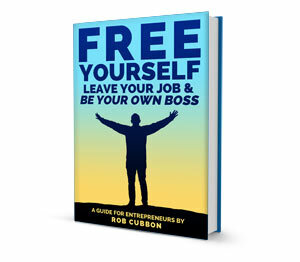 This week I published a book on this subject which is close to my heart: Free Yourself, Leave Your Job and Be Your Own Boss: A Guide for Entrepreneurs. The book guides you toward action so that you can live a life of freedom. 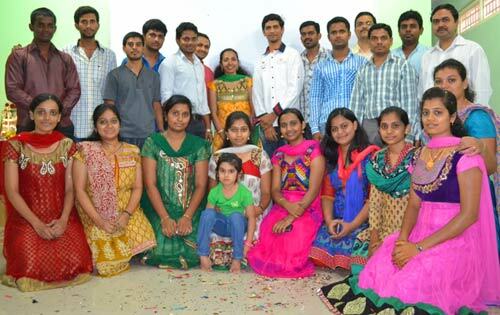 In the book, I interview 8 people from different backgrounds who,ve successfully set up businesses. I show that freedom is possible no matter who you are or where you come from. This strategy to leave work and start a business is fairly risk-free and obvious: Start a business while you’re working. The business you work on in your spare time is your “side-gig” or “side hustle“. This is exactly what Brian Creager did. Brian was on a high six figure salary in corporate America, with a wife and two children to look after. He woke up at 3am everyday to work on various side projects until he found something that worked. After trying and giving up on business consulting, Brian eventually created a men’s haircare product brand. Two months after putting the product on Amazon, Brian had made $600 revenue before costs. Not much to get excited about. However, Brian,s mastery of the Amazon marketplace meant that, just six months later, his monthly gross profit exceeded his corporate income. Brian has now created his own community of entrepreneurs selling online physical products, called Zonsquad. I did the same thing in 2006-2008. I worked in the evenings and weekends on my side-gig until I felt ready to leave work. This is a great risk-free strategy for leaving employment – work in your spare time until the money from your side-gig approximates your corporate salary. However, for some people, employment takes up too much of their time and energy to be able to grow a side-gig. They need another strategy – the ability to leave work completely in order to devote all resources to the “side-gig”. The “runway” is the length of time from leaving employment until the new business is profitable. Typically, people save money to cover them for a period of 6 to 12 months. So they will be able to pay their rent and bills for this period while their business, hopefully, becomes established and starts to make money. This period is known as the “runway”. The more money saved, the longer the runway. 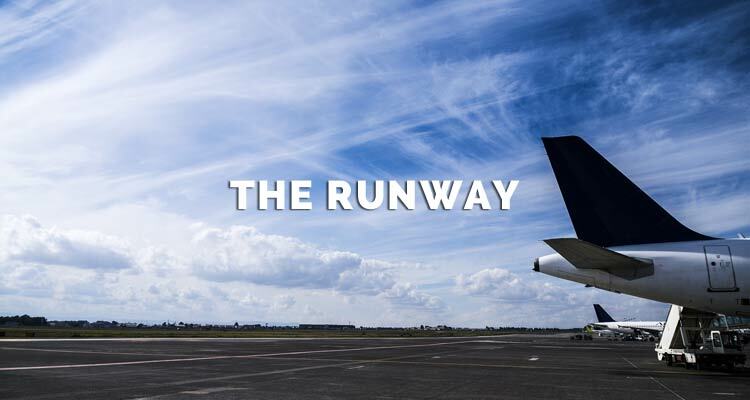 But, there’s another way of extending the runway – by cutting down on expenses. Some new entrepreneurs take “cutting down on expenses” to extremes and advocate minimalism. I’m a huge fan of minimalism and try to cut my possessions and monthly expenses down to the absolute minimum. Iva Ursano‘s life changed dramatically while volunteering in Costa Rica. She met people who had no personal wealth but huge amounts of happiness. On returning to Canada, she realized she was working, in part, to pay for an unnecessary lifestyle: car, apartment, expenses, etc. So she moved out of a $1000/month apartment, sold some belongings and her car, rented a room and found she could leave work almost immediately. Iva has now substituted her previous salary with writing and social media managing. Minimalism has extended her runway almost infinitely. And, another example of using minimalism to lengthen a runway comes from Jeremy Ginsburg, an American graduate who is currently living in Vietnam. There are many places in south east Asia where you can easily live for $500-$1000/month. Jeremy was teaching English in Vietnam but used video editing jobs as a side hustle. Jeremy used minimalism, frugality and teetotalism to be able to pare back the English teaching and he now only works as a video editor, writer and musician – all activities that are closer to his heart than teaching English. Oh, and he’s also been able to completely pay off his student debt. Kelly Exeter was a web designer who was doing so many freelance side-gigs, she sublet a tiny 10 ft. x 10 ft. office in the same building as her previous company, and started her agency Swish Design. Within two months, she was earning more than her salary at her original job. She was able to juggle two priorities for a period of time. This won’t always be possible and Kelly moved out of those offices as she started to take on extra staff fairly soon afterwards. But this is another way to leave your job. Kelly’s interview is one of the best in the book – she talks candidly about the problems of entrepreneurship as well as the benefits. The worst thing that could happen after leaving your job is that you have to go back to work (and that’s not exactly the end of the world). Mary Shaw, a UI project manager from Connecticut, left work in 2006 to set up a web agency from home. However, the downturn after the 2008 financial crisis forced her back into employment in 2011. A few years of entrepreneurship had increased her skills considerably. She quit again a year later with dozens more great business contacts in her back pocket and picked up where she left off at home. Nothing ever goes according to plan and this is true with all the people I interviewed for the book. I was especially interested in Mary’s story because she proves how un-risky entrepreneurship can be. Her business wasn’t working out for a short period of time so she went back to work only to leave again a few months later. There is no magic number. There’s no finite amount of money you need to have to be “safe” to leave work. It’s all really down to a whatever individuals feel comfortable with. However, enough money to survive a “runway” of 6-12 months seems common. When Jyotsna Ramachandran quit her job in Chennai, southern India, she had 6 months of money saved up and a husband who was working and supported her decision. She tried many different businesses before finding great success with Kindle publishing. She is the author of Job Escape Plan – another book about leaving employment to start a business. Also from India, this time Bangalore, Sriranga Ramaseshan, an employee at Hewlett-Packard, spent two and a half years saving up enough money to give him a year’s “runway”. He handed his notice in March 2013. He now runs his own school Eduplot Learning Solutions teaching accounting qualifications where he employs 20-25 teachers. He encourages poor students by accepting installments for course fees and even provides free education to certain students who can demonstrate great interest in their education. Alternatively, you can just leave your job with not much money coming in at all. I’m wouldn’t recommend this plan of action but it will work for some people – and, certainly, it’s more achievable if you’re young and without children. Mads Singers had a good job with IBM in the UK, but thought he could help more people by setting up his own consulting business. He moved to Davao in the Philippines with no more than $10,000 in savings and only $200/month income from the one coaching client he’d picked up. He wanted to feel uncomfortable to force himself to do amazing stuff. Mads’s is still based in Devao and his coaching business is going strong. When she was 16, June Bui (in Vietnamese, BÃ¹i Thá»‹ Dung) moved from a village in central Vietnam to Ho Chi Minh City (formerly Saigon). After doing well at school, getting a good degree and working in a language school, June was suddenly inspired to leave work and live a life of entrepreneurship and freedom. June has been supporting herself by working for third party freelance sites and doing illustration work for ex-colleagues. Have you noticed something similar with the 8 people I interviewed for my book? Yes, they all have … nothing … in common. They are: young and old; married, un-married; with young kids, with grown up kids, without kids; male, female; from all four corners of the “developing” and “developed” worlds; university educated, 15-year-old school leavers; and from just about every economic background – proving that anyone can free themselves from employment. You just need desire. Many people have said to me that they love the case studies from my book Free Yourself, Leave Your Job and Be Your Own Boss: A Guide for Entrepreneurs because they are ordinary people. They’re not headline grabbers, not gurus, they’re normal people who’ve got on with their lives and discovered freedom. The above case studies prove that entrepreneurship is now available for all. You only require desire, flexibilty and constant application. The book also talks about working from home, getting your significant other on board, your health, meeting other entrepreneurs, setting up websites, getting clients, finding a passion project that you can work on, and a lot more besides. 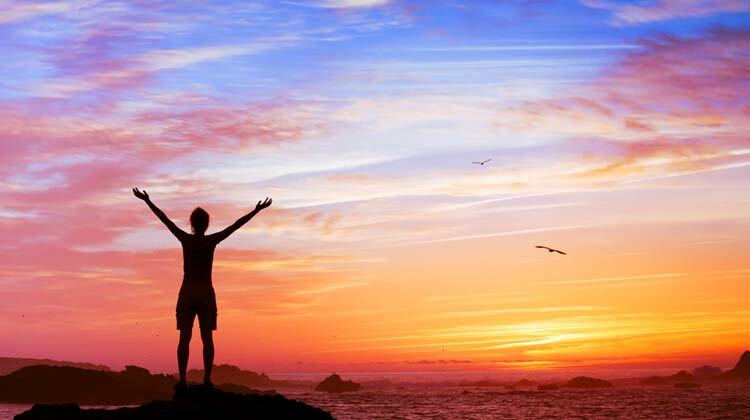 If you found the above article inspiring then I’m sure you’d enjoy the book: Free Yourself, Leave Your Job and Be Your Own Boss: A Guide for Entrepreneurs. Interesting article, and at that stage where I work full time in a job most would love. I don’t hate my job, It just doesn’t excite me anymore. That is more of a reason to change then saying you hate your job. If there is no excitement then you dread going in, but you don’t hate it, as it pays your bill. As your article says, most save up that 6 to 12 months before they start their business, so you cant hate it, if it gives you that start. As I work in Television broadcasting, meet many sports and news stars, have coffee with many presenters, lots of great benefits for free and a very chilled work out mindset, you would think why would you “Hate your job” ? As I said I don’t hate it, I’m just mentally bored. So now I need to find that new position that gives me the excitement and feel passionate about. I have found that when I “De-clutter” my life of all those things at home, I feel freer of the mental stress. I have got rid of all my dvd’s, cd’s books, old clothes, stuff I’ve collected over the years and heading to a minimal look at home. Also doing all those little jobs the wife wanted me to do. All freeing my mind to be free and happier and allow me to put my time and effort into my new business ideas. Id like a chat and see of anything you can offer, as advice is always welcome, even negative comments can help you look at things differently. Hello Aaron, thank you for your message. You don’t have to hate your job in order to leave it and become an entrepreneur. I’m probably being a bit negative with this message. Of the many people I interviewed, I think there were many (Mads Singers, Brian Creager, Kelly Exeter) who definitely didn’t hate their jobs – they quite liked them. They just wanted to challenge themselves further in life. Or they wanted more freedom and more creativity. So I probably made too much of that. Probably because I hated my former professional life so much! Freeing your mind is often the first step. After you do that you are hungry for new mental positivity stimuli and that’s when the magic happens. Thank you, Frank, I’m sure I’ll create that course soon. I absolutely love the Jeremy Ginsburg video. I found it some months back so was really pleased to see him featured in your book..
I’ve still to finish this book but it’s a great read so far. It’s hard now for me to understand what took me so long to leave employment . I can’t say I ever hated a job either (except a few that I quit within hours), but I do believe that most people like to challenge themselves and improve the way they work.. The compromises you have to make and enforced repetitiveness just gets too much, If more employers streamlined their management structures and gave employee a greater sense of trust and ownership they would probably do better. But, today I raise a glass to overbearing authoritarian work structures. Without you I would have not had a nice walk on the beach today, a swim in the pool… and my afternoon nap would be completely out of question..
Keep spreading the word Rob … and where in the world are you now? David, as ever, you have an amusing take on it. I suppose I have to raise a glass to overbearing authoritarian work structures as well! Yes, also, I think I’m over playing the “I hated my job” thing because, it’s interesting, many entrepreneurs didn’t actually hate their jobs, they just outgrew employment or got bored. Yes, it’s hard for me to understand what took me so long to leave employment. But, there we go.